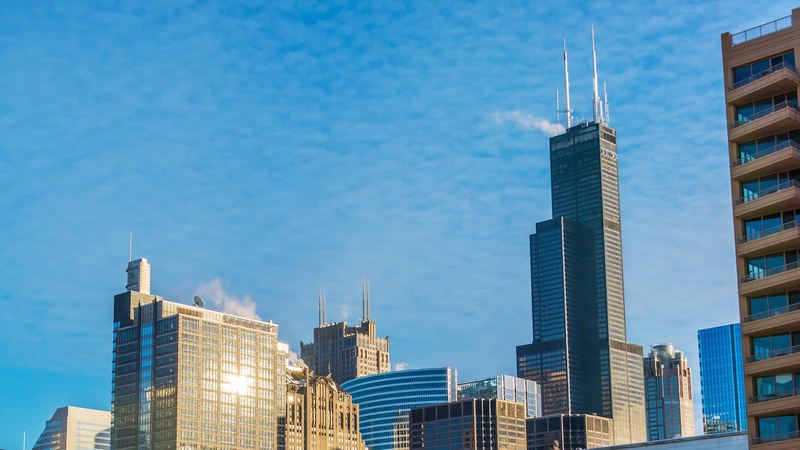 For almost 25 years the Willis Tower, more commonly known as Sears Tower, held the title for the tallest building in the U.S. Second place isn’t bad, right? 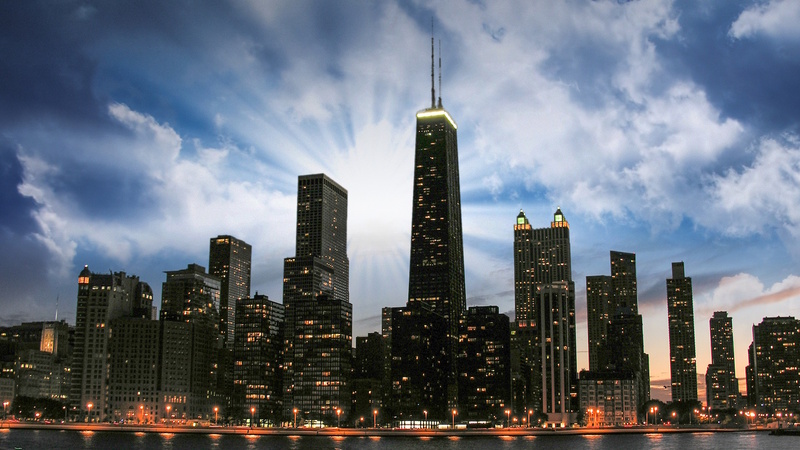 And as the 12th tallest in the world at a height of 1,451 feet, it is Chicago’s most beloved skyscraper. In order to house their rapidly growing company, Sears commissioned architects Skidmore, Owings & Merrill in 1969. Architect Bruce Graham and engineer Fazlur Rahman Kahn led. 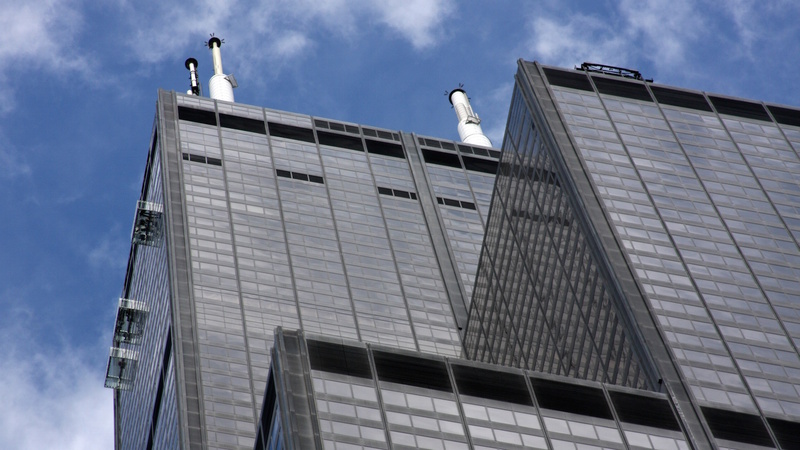 The Willis Tower was the first to ever use a bundled tube structure. Kahn’s design was so revolutionary that it was later used for the world’s tallest building, the Burj Khalifa. Graham’s design was inspired by a cigarette ad. He demonstrated the concept to a colleague by pulling cigarettes out of a pack to illustrate the 9 tubes at different heights. Construction began in April of 1971 and was finished by May 1973. Economically efficient for a building its size, the cost to build was $150 million, about $800 million today. 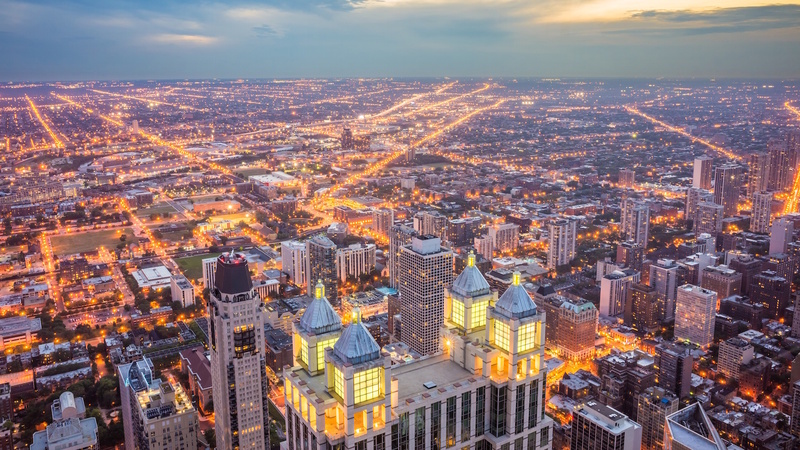 Willis Tower’s observation deck is what makes it celebrated. At 1,353 feet, visitors can feel the building sway on a windy day and see over the plains of Illinois on a clear day. 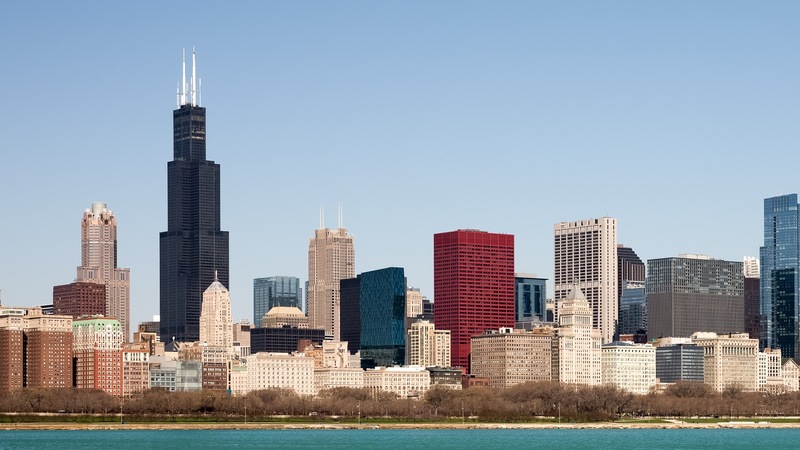 The address of Willis Tower is 233 South Wacker Drive, Chicago, Illinois 60606. Public transportation is easy because it's in such a central location -- off Blue, Brown, Orange, Pink, Purple and Red Lines on the ‘L. Parking is available at 221 W. Adams, and purchasing a parking card in advance online will get you a discount. Skydeck Chicago is open 365 days a year from 9AM to 10PM April through September and 10AM to 8PM October through March. View at night for the romantic glittering cityscape, by day for the sweeping view of Lake Michigan. The basic price for adult admission is $19.50. A variety of ticketing bundles with other Chicago attractions, like a visit to the Art Institute of Chicago, are available. Nope, but they are available if you want special insights into the building and its surroundings. Take the L, walk, or drive. As with other spectacular views, the best times to visit the SkyDeck are in the early morning and around sunset. This was an incredible view of the city. Well worth it. Definitely well worth the time to do this. Do it on a clear day early in am or at sunset for an awesome experience. The five day Go Chicago Card was great value for money and meant I could budget before I travelled. Come rain or shine there was an activity I could do and most of them I could even skip the line. I saved so much money. Fun and entertaining! Definitely a must if you're in Chicago! Blake was our tourguide and he did a great job! It was fun listening to him. He managed to give us a bit of an understanding of the architectural side of Chicago. Even if you're not into architecture at all you get a great view of the buildings! I definitely recommend this tour to everyone who visits the city! Wonderful information and great views of the city from the water. A must do for anyone interested in architecture history and Chicago. We took visitors fm No. Carolina, and a couple weeks later, fm Canada. It's our #1 tourist attraction when we have out of state or out of country viwitors.